The CHIRI Microscopy facility currently houses two confocal microscopes, three fluorescent microscopes, Nuance camera, a histology suite for sample preparation and two data analysis computers in its PC2 facilities. 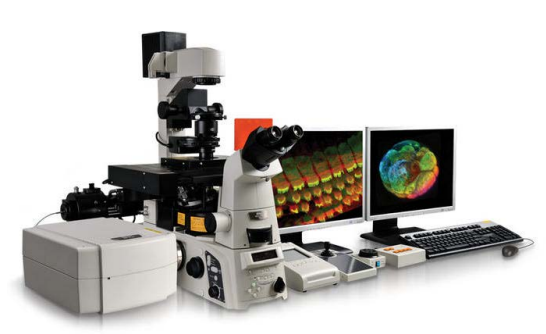 Learn more about CHIRI’s Microscopy and Histology shared resource facility below. Appointments for training with CHIRI Microscopy and Histology facility staff are available 9am-6pm Monday to Friday (excluding Curtin-observed public holidays). Trained users can access the analysis platforms 24/7. All data generated using the shared equipment should acknowledge the CHIRI Microscopy and Histology facility, and where any member of the CHIRI Microscopy and Histology facility has made substantial intellectual contributions to the design of your experiment, they should qualify among the authorship list. The Nikon A1+ is equipped with 4 lasers (405nm, 488nm, 561nm, 640nm), 4 filters (450/50, 525/50, 595/50, 700/75) with 4 PMT detectors and a spectral detector all operated using NIS-Elements software. It has a range of objectives available (10x up to 100x; dry, water, oil and multi-immersion options) as well as capacity for live cell imaging with a Tokai stage top incubator and perfect focus system. The Ultraview is equipped with 6 lasers (405nm, 440nm, 488nm, 514nm, 561nm, 640nm), 6 filters (445/60 and 615/70, 485/60, 525/50, 587/125, 705/90) with 2 EMCCD cameras and is operated using Volocity software. It has a range of objectives available (4x up to 100x; dry, water and oil options available) as well as capacity for advanced live cell imaging with a Tokai stage top incubator, microfluidics, FRET/FRAP, ratiometric analysis and object tracking. 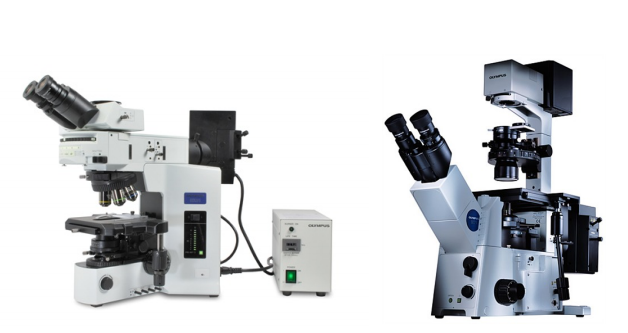 The two Olympus fluorescent microscopes (one inverted IX-51 and one upright BX-51) have a similar configuration with 3 wide-pass filters (UV/DAPI, Blue/FITC and Green/TRITC) and standard objectives (4x, 10x, 20x, 40x; 100x oil is also available on the BX-51). Both are equipped with DP70/71 cameras with Cellsens software for image capture. The Zeiss Axioskop 2 has 4 fluorescent filters (DAPI, FITC, Texas Red, Cy5) with standard objectives (4x, 10x, 20x, 40x) and is equipped with a Nuance camera for spectral unmixing (420nm-720nm) using inForm Advanced Image Analysis software. Users are responsible for their own data safekeeping and record keeping. There are automated methods for storing data in multiple locations at the time of acquisition and will be covered in the instrument training procedures below. The Data Analysis Suite maintains two analysis computers (Mario and Luigi), located on the first floor of Building 305, Room 144. Current staff/student swipe cards are needed to access these platforms. The analysis computers host multiple software packages, not just for imaging data analysis. For a full list of software available, please see Data Analysis Suite. Training is provided by CHIRI facility staff and is obligatory regardless of experience using similar instruments. To ensure consistency in training, users are not permitted to train other users. Users are invited to contact the responsible CHIRI facility staff member below to discuss training and for image analysis. Training consists of a short induction (approx. 30 minutes), after which you will be given login details and booking access. This general induction covers using this equipment/suite in a shared facility environment, general troubleshooting procedures, and the assistance procedures to ensure safety as well as the longevity of the shared equipment. Please note: each instrument has a separate training program. Training first consists of a basic group induction (approximately 3 hours). 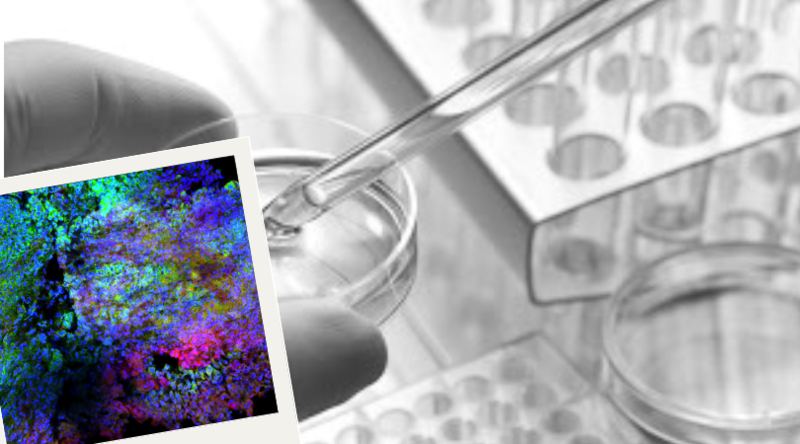 This involves hands-on instrument training with standard fluorescent slides to highlight common confocal microscopy principles, as well as an introduction to the imaging software, startup/shutdown procedures and basic troubleshooting. After the general induction and a discussion on the type of applications you want to conduct, one-on-one training/s is required to setup your specific experimental protocols. The follow-up one-on-one training/s enables CHIRI Facility staff to sign-off user competency, and each have independently have met the minimum requirements for using the shared equipment, know some general troubleshooting procedures, and know the assistance procedures to ensure safety as well as the longevity of the shared equipment and the quality of data generated. Access to platform specific online booking calendars is reserved for trained users only. 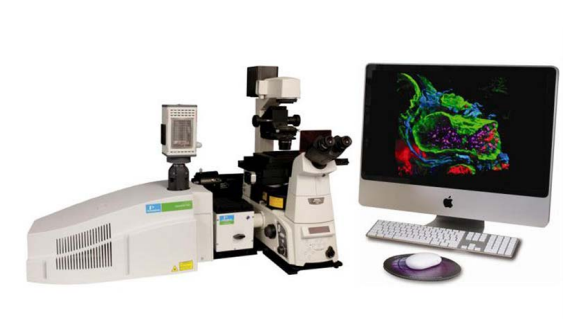 If you have not received access to the microscopes, histology suite and/or the analysis computers after attending training, please contact CHIRI Microscopy and Histology Facility staff (see ‘Contact us and feedback’ section below).